For a year now, I have been working with Miranda Beverly-Whittemore on the launch of her novel, Bittersweet. It came out two weeks ago, and we are gobsmacked to find out that it debuted at number 20 on the New York Times Best Seller list! Some people I speak to believe that THIS is the point of publishing a book, the idealized end goal; to have that phrase attached to your name. It is a pretty incredible phrase, isn’t it? A reflection of the validation of readers, booksellers, and everyone else who has come in contact with the book and/or Miranda. And that there are measures of success that matter in so many ways. Is “New York Times Bestselling Author” a wondeful validation, an amazing addition to someone’s name? Yes, without a shadow of a doubt, it is. I am so unbelievably happy for Miranda! Last week, I wrote a post about how pubishing is a team effort, with a singular black hole (the author and the story she created) in the middle. It speaks to the dual nature of this process, whereby so many people have put their passion and expertise into this book to help ensure it reached readers; But at the center of it all is a single person telling a single story. 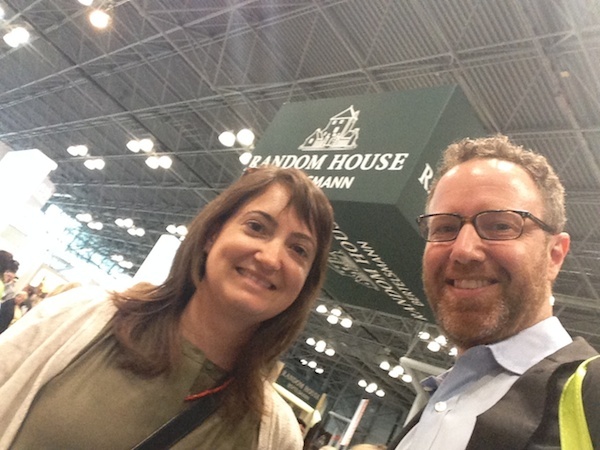 For my work with Miranda, she and I spent hours and hours walking the floor of BookExpo yesterday talking about the last year, and what comes next. A term came up: “grace,” which I think encapsulates a desire and a fear that many authors can waffle between. That they absolutely seek to achieve and celebrate success, but that they are fearful of “crossing a line,” whereby they do not want to seem overly promotional or constantly gloating at every milestone. 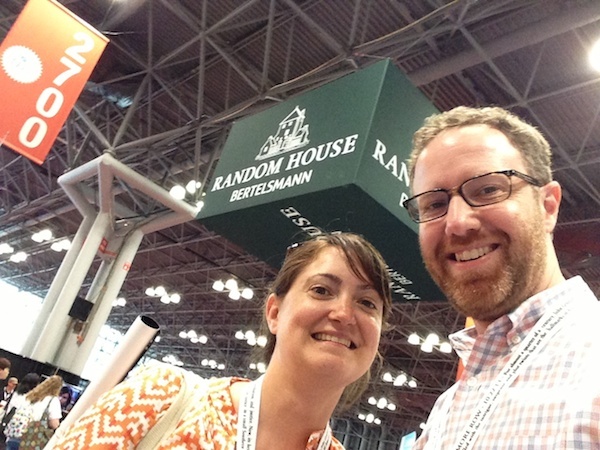 Yes, there is a time in a book launch process where you just “be,” and let things happen. In other words: don’t be running around like a nut trying to spread the word and promote the book. Instead, just simply enjoy that the story is out there, people are reading it, and that this is a time to celebrate and let these things happen. New ways to connect with readers. Note: this is not really about promoting the novel to new readers, but instead about engaging with folks who have already read Bittersweet. In other words: to create new ways to talk with readers, instead of just having them be represented as some sales figure. Oh, and I’ll be honest here, these types of activities do tend to encourage the best type of marketing: WORD OF MOUTH marketing. Thinking mid-term as to how she can keep connections going with readers and those who supported Bittersweet once the “launch period” has run its course. We have no idea when that will be, but we know we need to setup the channels and practices now. Talk about her NEXT book, and the long-term preparation for that. It has been amazing during the past few weeks that, even as Bittersweet is JUST launching, there were so many behind the scenes discussions about the next novel. And to me, this is the center of it all, remembering that Miranda is a writer, and that her crafting these stories is THE center, and the thing that matters most for her to do. Is she doing some book readings for Bittersweet? Sure. But she is also travelling to Ohio next week to do research on her next novel. That kind of forward-thinking – to create and respect the NEXT story even as the current one is being shared – is the center of it all. Also: you can read more than 130 blog post about the Bittersweet launch here.